The Russian MTO-500 is a classic sample of Soviet-era engineering and workmanship. It is a 500 mm telephoto mirror lens based on the design of a known Soviet engineer Maksutov. "MTO" stands for "Maksutov's Tele Ob'ektiv". This is the original, early MTO-500 design, with the barrel made of brass. 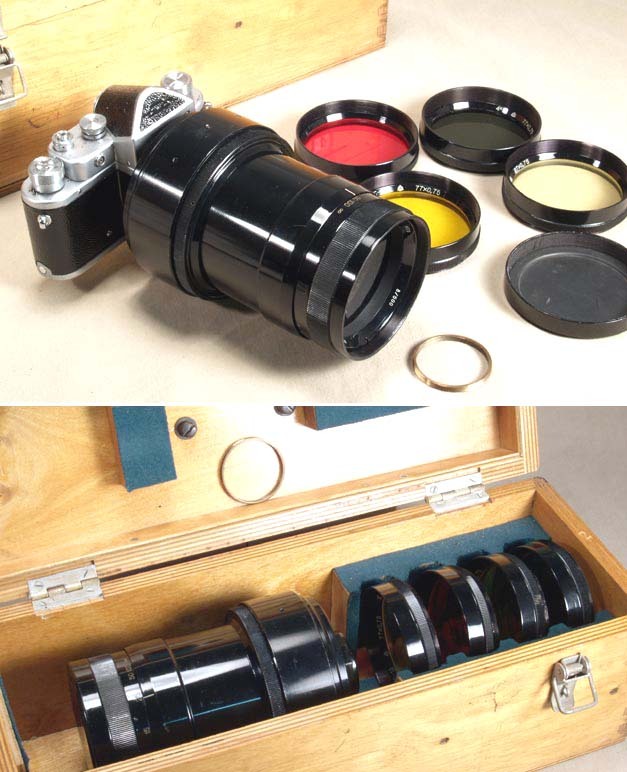 Later versions of this lens were much lighter and somewhat smaller, they came is vinyl cases, but this MTO-500 weighs 1.5 kg (3.3 lbs) and comes in an instrument-type wooden case. This MTO-500 was made in 1966. It is in excellent condition, the barrel shows very little (if any) use. The glass is clear and clean. The focusing is smooth. You will need a sturdy tripod to shoot with this lens. The lens is shown mounted on a Zenit (not included). This MTO-500 can be used with any 39 mm mount Zenit (models Zenit, Zenit-S, Zenit-3, Kristall, Zenit-3M, early Zenit-E). 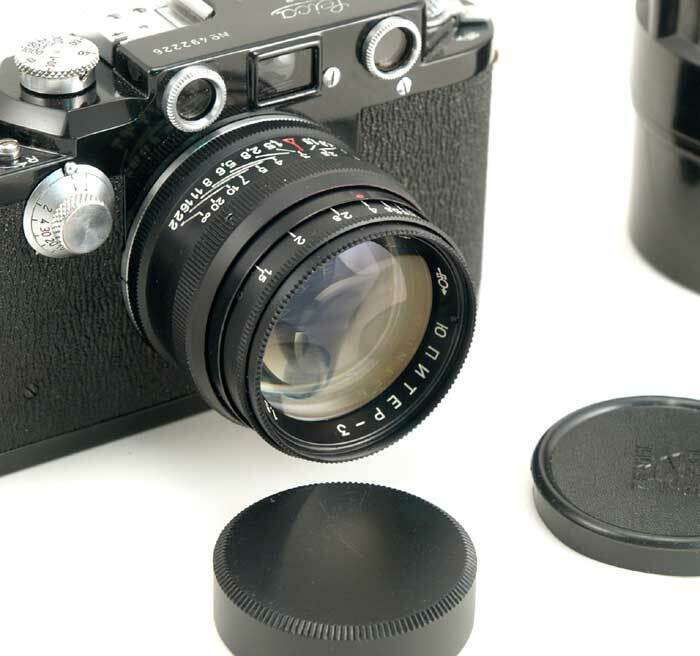 With a 39/42 mm adapter (included in this set) the lens can be used with M42 cameras.